When watching the first half an hour of The Lady Vanishes, it may perhaps be surprising that nothing whatsoever to do with a lady vanishing graces the screen. This however allows the film to throw many a surprise over the viewer in the typical Hitchcock manner. The film opens in the disgruntled happenings of a hotel, somewhere around Switzerland. 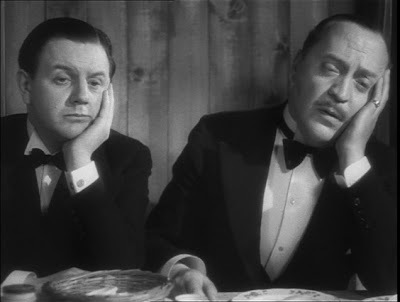 Instead of concentrating on the main characters that later establish themselves in the narrative, we’re instead thrust into the world of stiff upper lip British tourists Caldicott and Charter played superbly by Basil Radford and Naunton Wayne. They ooze British class and humour, keeping calm in even the direst of situations to come. At first their conversations appear to be about worry of the impending war yet a hijacked call to London soon reveals their worry is about the cricket. The fact that the person on the end of the line doesn’t even know about cricket leads them to believe he can’t really be British and this sets the tone for the sort of cosy humour that is interspaced between the dramatic scenes. The narrative for proper starts on the train journey home when Iris Henderson (Margaret Lockwood) meets Miss Froy (Dame May Whitty). Having just been hit on the head by a stray plant pot, Miss Froy looks after her and takes her to tea in the dining carriage. Upon waking up from a nap though, Iris finds that not only has Miss Froy disappeared, her fellow passengers and eye witnesses are denying that she even existed. Meeting up with Gilbert Redman (Michael Redgrave), a musician she had a fall out with in the hotel, they try to get to the bottom of this mystery disappearance. Like most Hitchcock, the film tells the viewer more then its characters creating suspense and intrigue at the same time; making us question why this is happening rather than how. It’s clear that something is a foot simply by looking at Iris’ fellow passengers who appear to be the most suspicious group of people imaginable. Gilbert’s comment that the train is “very cosmopolitan” perhaps speaks of the worry born of foreign national spies, which were ever present during the Second World War. This also adds to its role as a propaganda film with the only English character not wanting to help the situation in the end being the pacifist lawyer. The tension here though is first caused by the fact that even the likable English characters are lying about seeing Miss Froy. Our loveable due that are Caldicott and Charter are worried that an inquiry as to the whereabouts of the missing passenger will delay the train and make them miss their beloved cricket match in Manchester. With the truth revealed and the characters involved in the espionage coming to light, they steal the train after an ingenious attempt to save the now found Miss Froy. A stand off occurs with some marvellously British calm, which peaks in Charter not even blinking when he’s shocked to find he’s been shot in the hand. This however seems more comedic than serious though no doubt at the time must have seemed inspiring in the face of war. 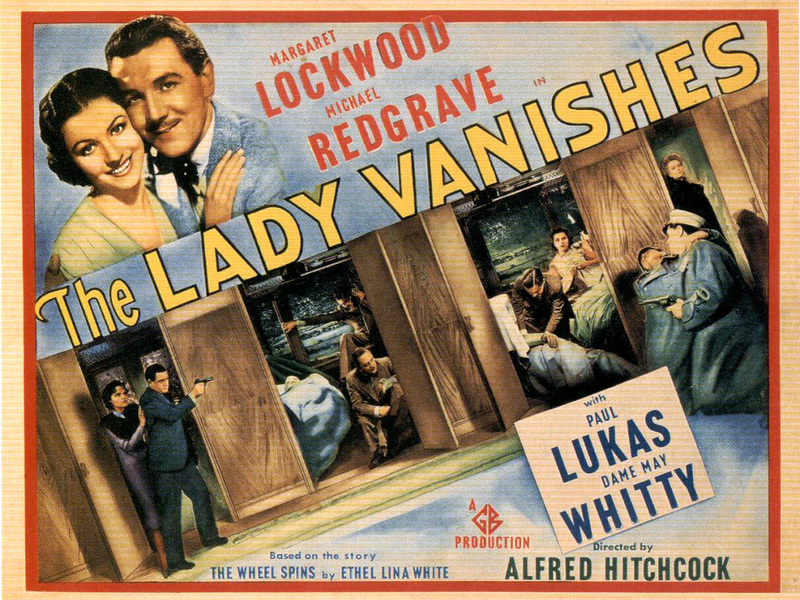 The Lady Vanishes was Hitchcock’s penultimate British film before he left for the glamour and excitement of David O. Selznick’s studio. It’s sad that these typically British characters would be rarely found in his future films, though at the same time, The Lady Vanishes acts as a glorious Blitz Britain timepiece showcasing a time when the stiff upper lip could only be quivered by something really serious. In this case being the cancelling of the cricket which Charter and Caldicott discover upon arriving home. Rotten luck old chums.